A concept map can clarify even the most complicated ideas by presenting information in an easy-to-understand visual format. 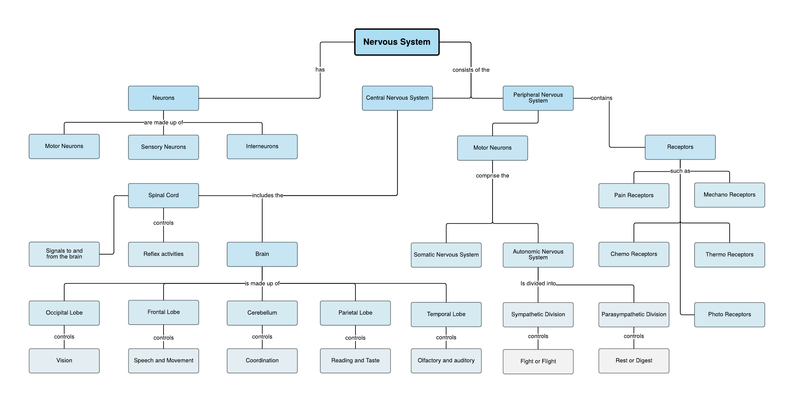 This nervous system concept map example shows the components that make up the human nervous system, along with their various roles. With a free Lucidchart account, you can edit or download this nervous system concept map template and create other useful diagrams.